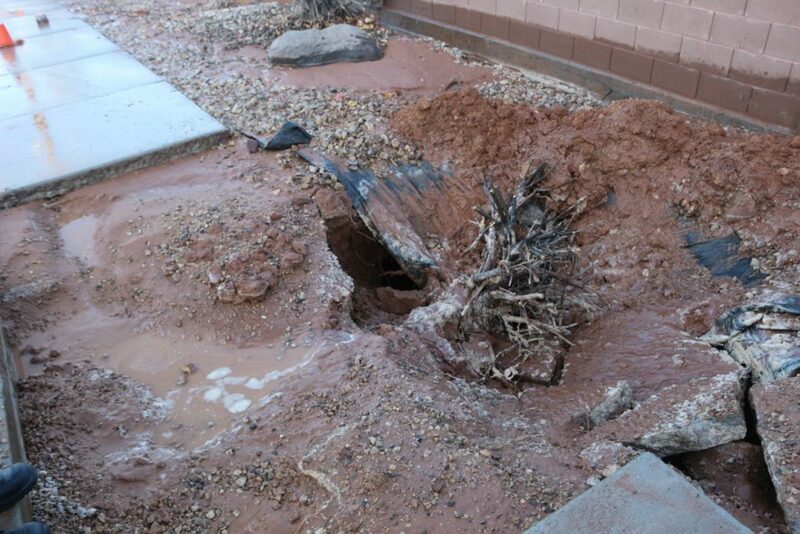 ST. GEORGE – Sometimes that buried water line isn’t exactly where you thought it was. That’s what happened along a part of River Road Tuesday afternoon when an electrical company working with Dixie Power began boring into the ground along the sidewalk. 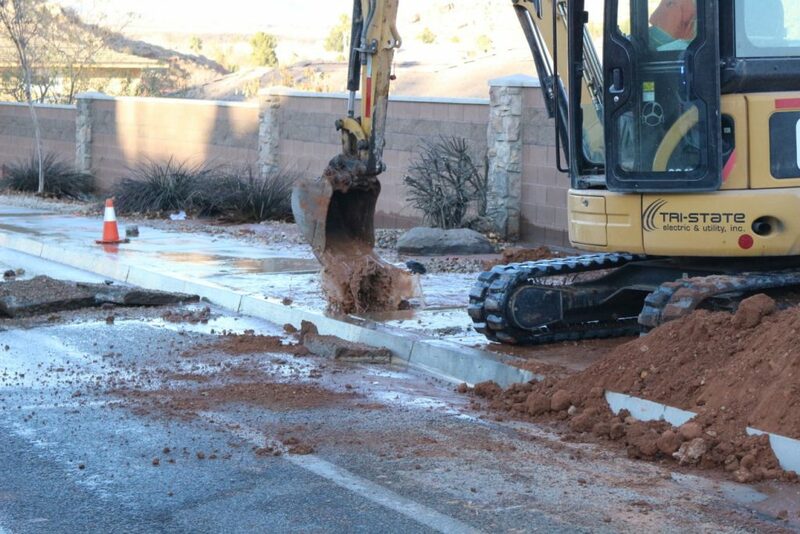 A buried irrigation line turned out not to be where it had been originally marked, resulting in a water-gushing surprise and diverted traffic. The rupture happened in the area of River Road between Talus Way and 2220 South around 3:25 p.m. Water escaping the pipeline ran down hill along a block fence as well as across the roadway, taking bits of mud along with it. 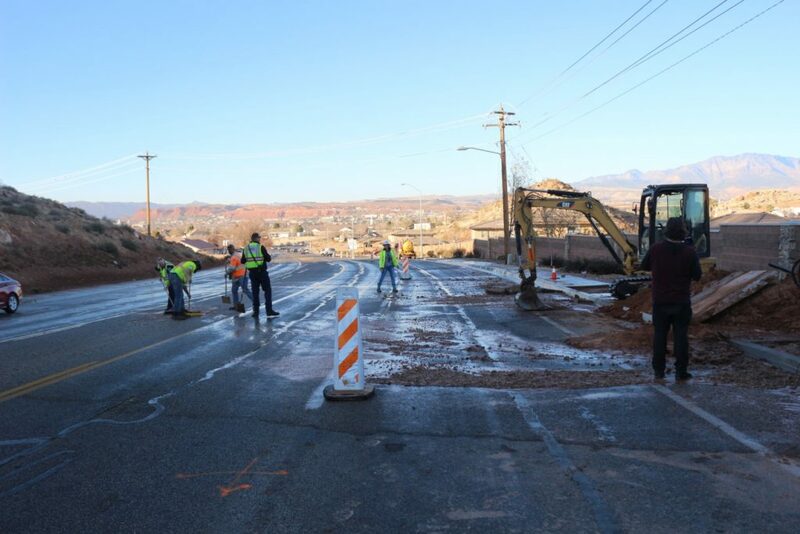 St. George Police and Fire units responded to the incident as northbound traffic on River Road was diverted around the broken water line via Shellee Drive. Personnel from the city’s water department also responded and shut off the water feeding the line. 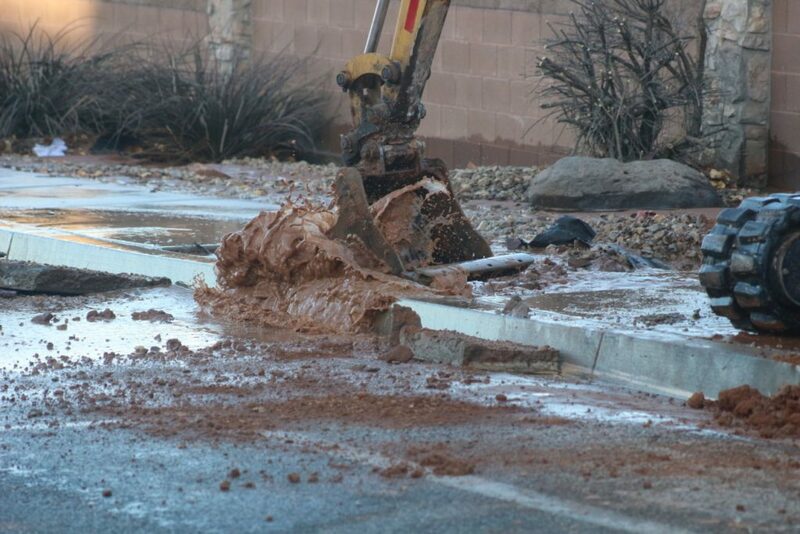 “Accidents like this will happen occasionally,” said Marc Mortensen, assistant to the city manager of St. George. 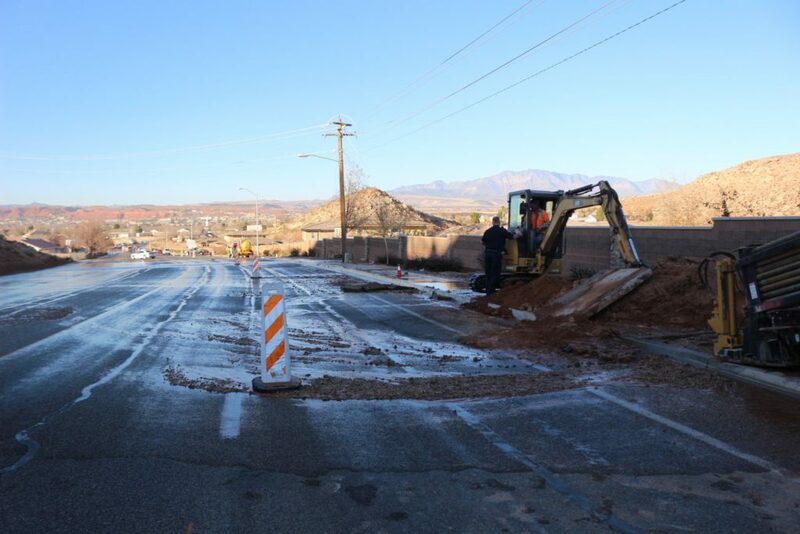 While it was initially believed that the work crew hit a 30-inch irrigation line, Mortensen said that has yet to be confirmed, as it may have been a distribution line feeding into the main line instead. That determination will be made Wednesday as the city gets to digging out and repairing the line, Mortensen said. Repairs are expected to take a day at the most. 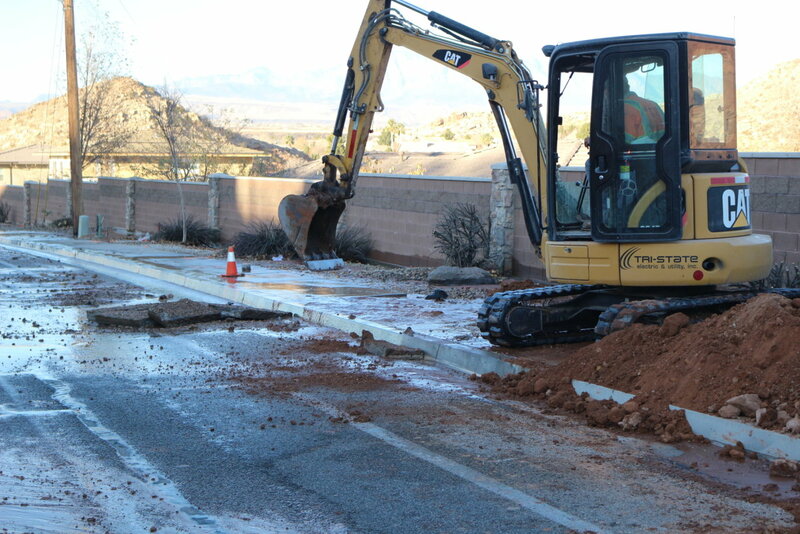 As no one is currently getting water from the irrigation line, Mortensen said, so the line break did not disrupt service to the city’s water customers.